Aging is a process we cannot stop – but with today’s break through treatments – we can “roll back the clock.” Restylane® is an FDA approved breakthrough treatment that uses NASHA, which is a natural, non-animal-based dermal filler just like your own body produces. Hyaluronic acid (our bodies own natural substance) exists in the dermis, or middle layer, of our skin. It’s purpose is to provide fullness and volume to the skin. Restylane® is completely biocompatible with and identical to our bodies’ own substance, and so is readily accepted without reactions. As we age, our ability to manufacture hyaluronic acid declines, and we get lines, folds and wrinkles. This dermal filler provides instant volume and restores fullness without surgery. If you are bothered by lines, wrinkles and folds, Restylane® treatments could be the answer for you. 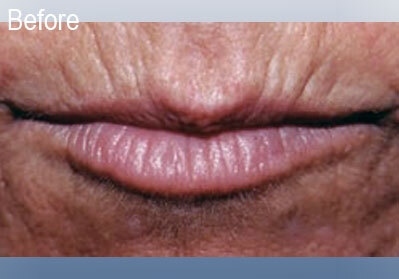 Alternative to surgical lip augmentation. During the procedure, Restylane® is injected into the mid deep dermis in tiny amounts using an ultra fine needle. The treatment area may be massaged to optimize contouring of the gel. As the gel integrates into dermal tissue it attracts and binds to water molecules. This binding process then creates volume and fullness to smooth out wrinkles. The average treatment will last for six months – twice as long as collagen. Touch-up treatments are usually done twice a year. Restylane® requires little to no downtime with most patients able to return to their daily activities immediately following the procedure. Bruising at the injection sites can be covered with mineral makeup. Restylane® is generally well tolerated. The most commonly reported side effects are temporary injection site redness, swelling, pain, tenderness, firmness, lumps/bumps, and bruising. 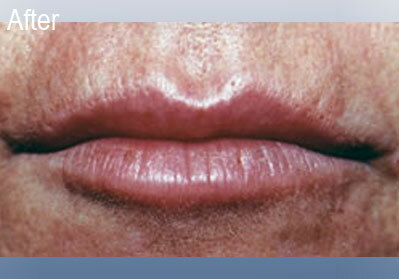 Side effects from Restylane® treatment are usually minimal. Some redness and swelling may appear, but should be gone within a week. During this time, sunbathing and exposure to cold should be avoided, as these conditions put extra stress on the recovering skin. Patients who are using substances that can prolong bleeding, such as aspirin or ibuprofen, as with any injection, may experience increased bruising or bleeding at injection site.